1 Combine Hellmann's® or Best Foods® Real Mayonnaise, mustard and honey in small bowl; set aside. 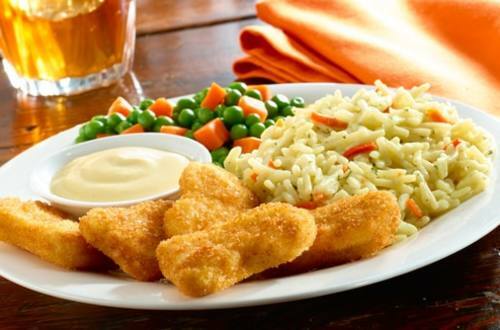 2 Prepare Knorr® Rice Sides™ - Creamy Chicken flavor according to package directions, stirring in peas and carrots during last 3 minutes of cook time. 3 Serve hot rice with chicken and dipping sauce.